You love live shows right? Huntsville Festival of the Arts brings great shows to Muskoka. Becoming a Festival Friend gives you the opportunity to access great deals & exclusive opportunities, all the while supporting an organization engaged in strengthening its community through the arts. Bring your friends for FREE to selected events (announced throughout the year). Order tickets to Off-Season shows prior to the general public. If you took advantage of Bring your friends for FREE perk just twice a year, you will have recouped your membership fee! One membership per household. 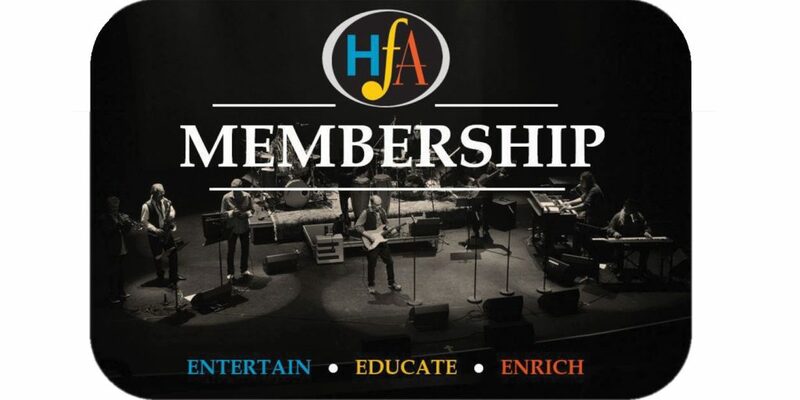 Membership valid for one season (April 1 to March 31). Limit of 5 discount tickets per show. Member tickets purchased through the Algonquin Theatre can only be purchase in person at 37 Main St. East, or by phone at 705.789.4975. THANK YOU TO OUR 2019 BEST FRIENDS OF THE FESTIVAL! Armstrong Dodge | Jason Armstrong’s Huntsville Honda | Jason Armstrong’s Hyundai of Muskoka | Karen Cassian & Brian Smith | BDO Dunwoody | Camp Tawingo | Tawingo College | Steve Campbell & Noreen Mitchell | Liz & Bruce Gowan | Lakeland Networks | Lindgren Mini Storage | Suzanne Riverin & Nigel Lewis | The Rick Wearing & Sandra Parrott Team: Royal LePage Lakes of Muskoka Realty Inc. Brokerage | Watson & Lang Law Firm | Withey Insurance Brokers Ltd.